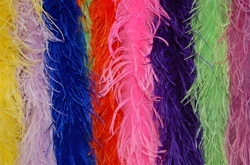 Ostrich feather boa, made from Prime Ostrich feathers with a Marabou feather interior. A full range of colors. 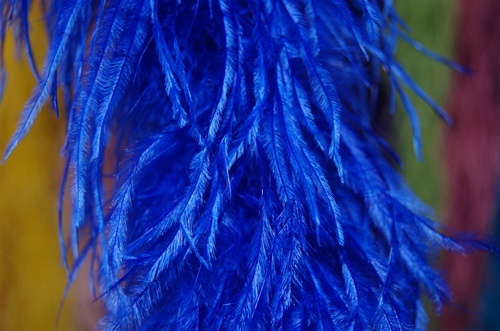 Many uses for Fashion, Theatre, LIngereie, Millinery, Costumes, Crafts, Puppets ,Purses ,Party favors and many other functions. 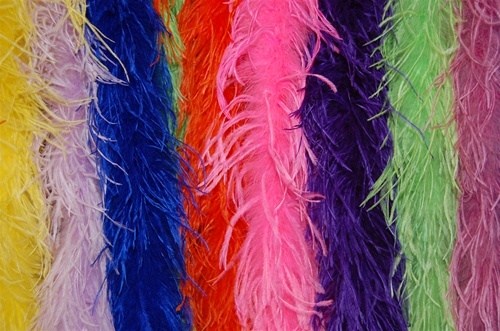 Boa comes in standard 2 Yard Lengths.